Battle Brothers released to Early Access! Home / Battle Brothers released to Early Access! Finally! After all that waiting you can now experience for yourself how it feels to get your men slaughtered and, in some rare cases, even emerge victorious in a game of Battle Brothers. We hope you enjoy playing the game as much as we enjoyed designing it! Please keep in mind that this game was just released into Early Access and is far from finished. We consider it a solid foundation upon which we can now build a truly great game over the course of the next year. If you haven’t made up your mind yet you can find a description of the available editions at the bottom of this post. 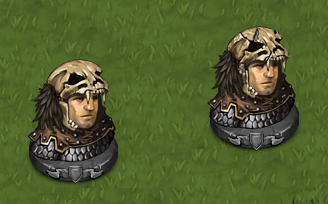 Head over to our forums at http://battlebrothersgame.com/forums/forum/game-discussion/ to share your opinion, tell us of your ideas and experiences, and give us feedback. It’s pretty much inevitable that once all of you play the game a pile of bugs and glitches will turn up that we never experienced before. We’ll do our very best to fix any issues in a timely manner, but we also need your help. Please report any bugs at our forums at http://battlebrothersgame.com/forums/forum/bugreports/ and try to follow the guide in the sticky post. Which editions are on offer? This includes the game in its current Early Access version and all future updates up to and including the full game release. It comes at a cost of 19.99$ – depending on region, your price may vary slightly. The best place to get it is directly at our website here. The Deluxe Edition includes the game in its current Early Access version and all future updates up to and including the full game release. Additionally, all buyers will receive the complete Battle Brothers soundtrack as a digital download once it is finished and released. The game already features more than one hour of music with signature tracks for all the factions and places. The difference in price to the basic edition will go directly to Breakdown Epiphanies, the musicians who are creating all the music for Battle Brothers. It comes at a cost of 24.99$ – depending on region, your price may vary slightly. For those of you who really want to support us in the future development of Battle Brothers we also offer the Supporter Edition. Like the Deluxe Edition, this includes both the game itself and the soundtrack. In addition, you’ll get a digital lore book with a lot of background info about the world and its inhabitants, as well as our very first legendary item in the game, complete with a look of its own and a unique background story: Fangshire. The Support Edition comes at 39.99$ – keep in mind this price is not about the additional content you get, but a chance for you to support further development of Battle Brothers if this is a project you truly believe in. For all editions, please take note that both the soundtrack and the lore book are not yet done and will only be delivered once they’ve been finalized. You can expect them to be done at around the time the game leaves Early Access. Yes, sadly that is the case. I bought through the website, because I cannot afford the Supporter addition atm and thought that it would be better for the devs if I purchased through their site. That said, I hope an option to ‘upgrade’ to the supporter addition becomes available down the line, because I want to support this game as much as I can, even if my current financial situation doesn’t allow me… at least for this month. It does support us more, so thank you! An ‘upgrade’ option is certainly something we could add. Would you rather potential “Deluxe” and “Supporter” customers wait til you’ve set this feature up, so that you get 100% of the difference? Don’t answer if you don’t want! Actually, couldn’t wait for reply so just tipped you the extra $20! 8 seconds til download completes!! Haha, Thats the spirit! Thanks man! Emm, just so you know. The presskit button has gotten pushed off the menu bar. Figured it out. Reducing the screen size moves things from the menu. The Sunken Templars have embarked on a journey with no definite end! happy to hear that you want to support us beyond buying the basic game! Through Humble you can only get the basic game right now.